With major retailers revealing the breach of their customers’ credit and debit card data, it is more important than ever to protect yourself. It is becoming easier for hackers to steal and use customer card information, so it is your responsibility to be on the lookout. 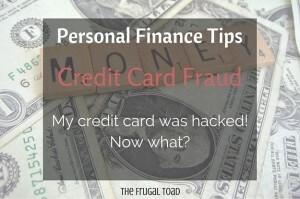 So, what do you do if your debit or credit card is hacked? There are differences with regards to how banks handle fraud on credit cards and debit cards. Credit card customers are protected from fraud along with having no money taken out of their bank accounts. If you use a debit card, then you can still be responsible for the fraud, depending on the bank and how long it takes to notice the fraud. No matter what card you are using, you need to make sure to stay calm. If you have shopped at a retailer that has indicated a data breach, then you need to be on the lookout. While some banks have automated ways to combat fraud, it is still the customers responsibility to keep an eye on their account. 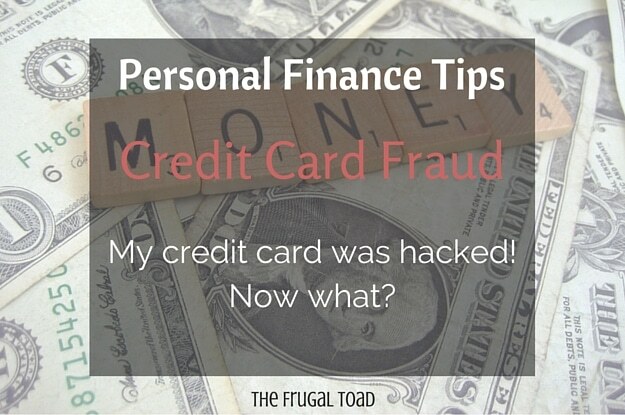 When your credit card is hacked, it doesn’t necessarily mean that there will be big charges or any. If your data was part of any hacking attempt, then you should overlook every charge on the card. If you suspect credit or debit card fraud, then you need to contact your provider. Banks take fraud very seriously, so they typically have a dedicated department to handle such issues. You will be asked to indicate the fraud and then it will be investigated. Your provider should cancel your card immediately and then send out a new one. If they don’t offer this, then make sure to request it. Most credit card companies can get you a new card by the next day. Most debit card issuers will take some time to investigate the fraud, but they will still get you a new card. To ensure that you are not a victim of other fraud, you should take preventative measures. One easy way to do this is to open a fraud alert with one of the three credit reporting agencies. 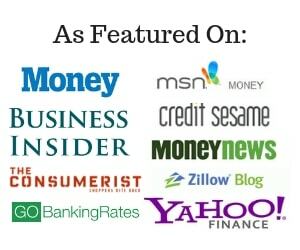 You can contact either Equifax, Experian, or TransUnion. You only need to contact one agency and the fraud alert will go on the others. This service is free and lasts for 90 days. Since you will be getting a new card, you will need to update your other providers. If you use your credit or debit card to pay for any other service on an automated plan, then you need to contact them with the new card information. This will ensure you don’t have any missed payments. When your debit or credit card is hacked, it can be scary. This should not stop you from shopping at your favorite retailers. These data breaches happen and it shouldn’t scare you away from shopping or using your cards. Always be vigilant about your purchases and make sure to check over your statements each month. Readers: Have you ever had your credit card hacked or your identity stolen? CAre to share your experience? 11 Responses to Your Credit Card Was Hacked, Now What? I haven’t been hacked yet, but I worry about quite regularly. Thanks for the rundown of what to do! It’s really very easy if someone wanted to write down your credit card information. I hope you were able to have the charges removed and catch the jerk! Yep, happened to me and I have no idea how. I think my card was skimmed at a restaurant, about a year later when I’d moved all the way across the country it was maxed. Scared me to tears! We have had our credit cards skimmed twice in the past. Other than a bit of inconvenience having to update some auto-pay accounts, it wasn’t a big deal. It didn’t cost us anything. We just had to fill out an affidavit stating which charges weren’t ours, and wait a few days for our new credit cards. I do check our accounts once a week, and make sure all charges are valid. Glad to hear you have had good luck with your credit card company Marvin! I’ve had good luck too, luckily I have not had very many issues! I love our credit card company. Any transaction that we find that isn’t ours they simply take it off our account no worries. I’ve never had to fight with our company over a charge we filed as false. Sorry to hear that Erin! Sounds like your credit card provider was on top of it and hopefully they took care of that for you. I’ve got just about everything on auto-pay. I have alerts setup for transactions over $200 so I get an immediate notification. If you wait for the statement it could be a couple weeks before you are aware of a fraudulent charge. Never put your credit card payment on auto-pay! Force yourself to review the statement every month. My account was JUST hacked! I actually received the call before I boarded my first international flight ever. It was definitely stressful!